If there’s one trait today’s women all share, it’s busyness. She’s busy with her family, busy at work, busy in the community. With all that weekly running around, she’d really appreciate a gift that would make her hectic life easier. Check out these must-have gift ideas for the woman on the go to keep her organized, energized and stylish into winter and beyond! 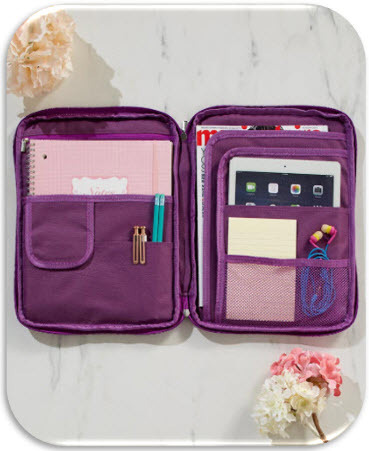 It holds everything from your full-size notebook or tablet to your paper clips, with an all-around zipper to keep contents secure. A handle on the side makes it easy to carry. It’s like taking your desktop on the go! – Multiple pockets for ultimate organization. – Cushions and protects your electronics. 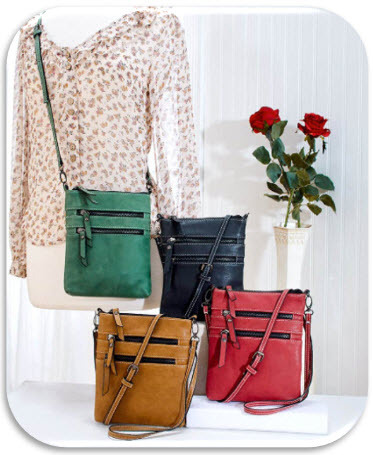 This compact bag offers plenty of room for carrying your phone, cards and keys, with 6 pockets to organize it all. The length of the strap can be adjusted to the most comfortable spot for you. And what makes the bag even better is the soft leather-like feel of its durable material. – Small size, surprising storage capacity. – Tons of pockets for all your essentials. You’ll never run out of power when you can charge your phone’s battery as you drive. 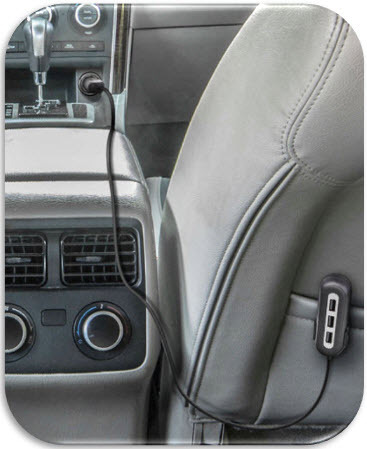 And with 5 ports and an extra-long cable, this charger can power up all your passengers’ phones at the same time, even the ones in the back seat. Great for a long road trip! – Charge up to 5 devices at a time. – Works with any USB-enabled device. – 2 USB ports for the front, 3 for the back. This unique hat has an opening near the top for your bun or ponytail to slip through. It lets you keep your head warm without crushing your hairdo. Just pull your hair into a quick ponytail or messy bun, pop on this hat and you’re good to go! – Keeps hair neatly off your face. – Fits snugly even over a ponytail. The number one must-have for the woman on the go is something to carry her stuff and keep her organized. If she travels a lot for work, sturdy luggage is essential. If she brings paperwork home from the office, it’s a briefcase, organizer or work tote. Plenty of pocket space is ideal, and pockets that are conveniently accessible are key. Don’t forget style and comfort. Handbags and totes need to be easy to wear on the move, and she’ll love any accessory more if it fits her unique style. The woman on the go needs technology to keep her in touch with her home base or workspace, and that means having the right electronic accessories to stay powered-up and mobile no matter where her day takes her. 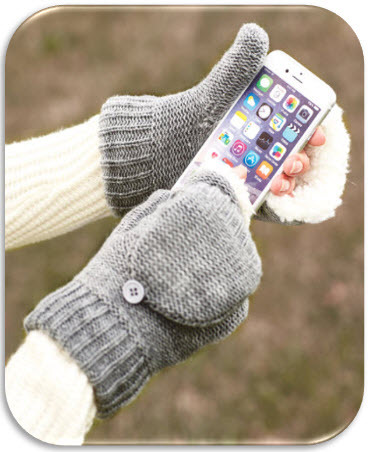 Tiny inconveniences can all too quickly push a productive day into panic mode, so keeping her smartphone charged in the car or simply having a pair of smartphone-friendly gloves for the winter season can make all the difference. Get a better grip on that slippery phone! No more worries of it falling out of your hand when you’re walking and talking. 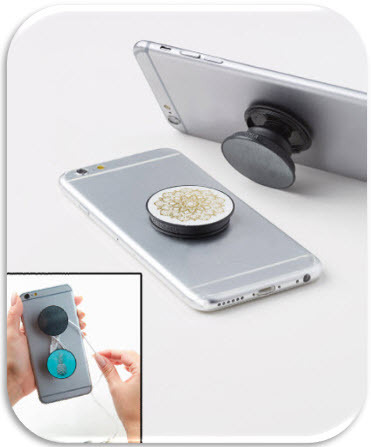 – Improves your grip on your phone. – Works as a stand for watching videos. – Doubles as simple storage for earbuds. It’s hard to operate your touchscreen when you’re out and about on a cold day. Try to text with your gloves on and it just doesn’t work. Take the gloves off and your hands freeze. These mittens are the perfect solution! – Like having two pairs of mittens in one. – Easy to convert from one use to the other. – Lined mittens are sure to keep hands warm. 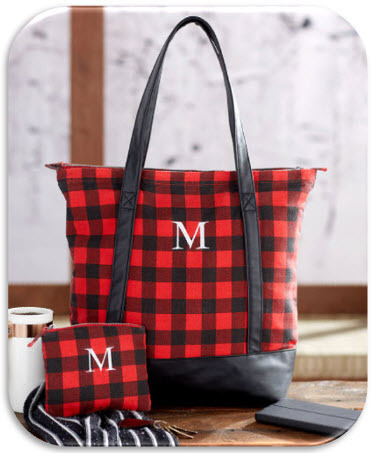 You’re sure to get noticed wherever you go with this matching bag and pouch set. The tote is generously sized to hold everything you need to take on the go. The zippered pouch is perfect for cash or keys. Your initial stitched onto the front is the perfect personal touch. – Durable faux leather base and straps. 50” Long On Each Side! 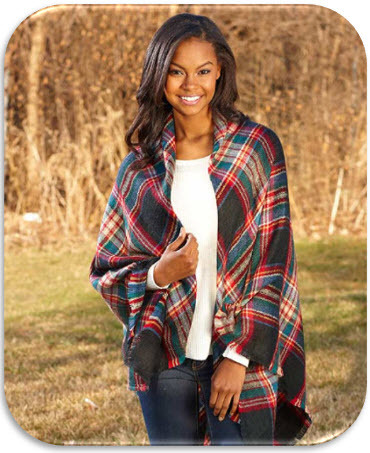 This beautiful plaid scarf is the perfect finishing touch for just about any outfit. It’s soft, lightweight and big enough to style in many different ways. It will even help you stay warm when you’re on the go. It’s sure to become your favorite winter accessory. – As a warm, comfy scarf. – Belted or knotted in front. – As a wrap for an extra layer. We hope this helps you find the perfect gift for the woman on the go. 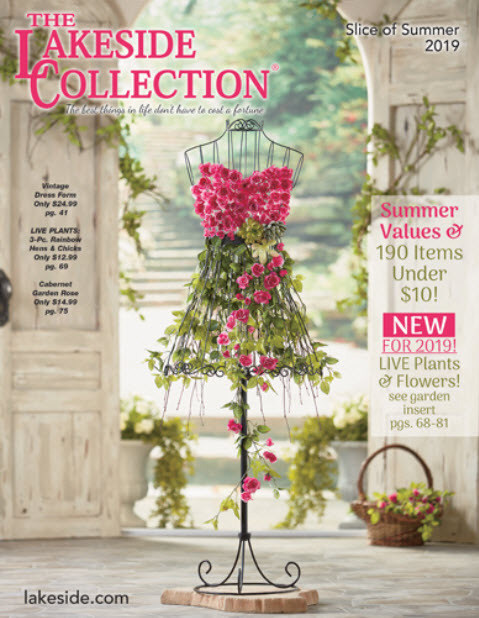 For more gift ideas, check out our entire collection of Gifts for Her. And don’t forget to visit Lakeside’s Holiday Headquarters to find affordable gifts for everyone on your list!